The honorable mention for Best Documentary and Documentary Feature Film goes to THE GARDEN OF HOPE,. The visual treatment of the film was impressive by using the camera by the victims themselves on their on prospective about the terrible conditions and lives. Private Projection at "La nouvelle Seine" Sunday 18 January. 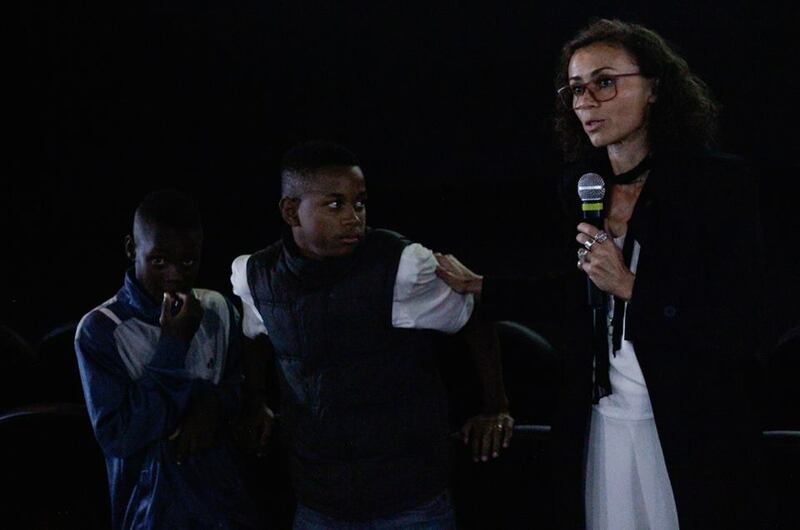 Private projection organised by RISO, association who got involved in Jardim Gramacho since September 2014. The projection took place the Thursday 27 of November. I want to thank a thousand times Fernando and the volunteers of TETO for the private projection of Jardim da Esperança in TETO's office in Rio. It was beautiful to finally share it with you all. Her camera has crossed paths with hundreds of people around the world. But Laurence Guenoun is currently conducting the most personal project of his life: a documentary on the inhabitants of Jardim Gramacho, a former discharge of the wonderful city. From Paris to Rio, with offices in the photo, this expatriate Lepetitjournal.com met with so much to tell. Kauã, Jonathan and Lucas very proud to be featured in this month's issue of Socialter Magazine. Thanks to all who have supported the project financially without you, all this could not have been possible. Thanks to all those who regularly sent me messages of support... And especially a big great big thanks to the community of Jardim Gramacho for their home, kindness, support, participation and confidence. I hope that the documentary will be beautiful and pay tribute them. Thanks to all who have supported me in this adventure: Faustina, Nikola, Benoit, Nick, Julie, Pedro, Fernanda, Gaël, Coline, Jane, Marie-Cécile, Mario, André Ramiro, Amos and Zumbi. Ramos nos apresenta a exposição de projeto !